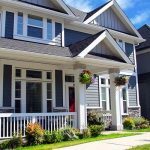 Whether you are in the market to sell or not, one of the best things you can do is make some strategic home exterior improvements to enhance the curbside appeal. An attractive outside invites a curiosity for the inside of the home. In addition, an attractive exterior draws more attention and helps it sell faster, while generating a positive ROI. 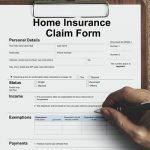 Below are a few common low-cost enhancements you can easily make before you decide to list your home. Adding a new deck can be pricey, but it gives the homeowner a place to enjoy the outdoors. A new deck or patio can also provide a high return on investment – as they are something that a buyer will value. This is the most complete way to give your home a fresh, new look while adding tangible value. According to the 2017 Cost vs. Value Report, 71.2% of costs are recouped with new siding. 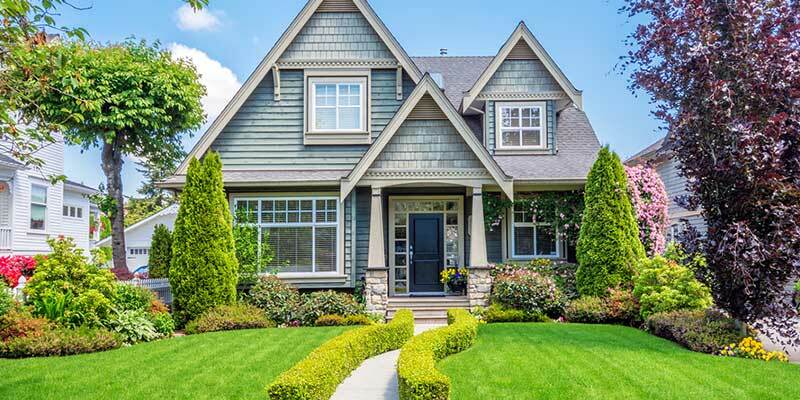 The underlying value of stunning curb appeal is harder to estimate. The most popular name in home siding right now is James Hardie. Their innovative fiber cement siding is beautifully designed, durable, and dependable. Adding flowers and bushes makes your home stand out within the neighborhood. Native plantings are typically lower maintenance and less expensive. The right trees can even lower the energy costs for your home. While the cost for additional landscaping is low, it does require yearly maintenance to maintain its stunning appearance. This is a simple, low-cost way to attract attention to your home’s exterior. Try painting your door a bold color. The cost is a bucket of paint and an hour or two of your time. 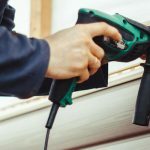 The ROI behind home exterior improvements can be an important factor if you are looking to sell your home. If you’d like to discuss changes to your siding, roof or gutters, contact FTC Oury today!